“If you don’t have an online presence to advertise your sales, it’s going to be difficult to get much reach,” said Boni Wish, who operates Grasons Co. City of Angels, an estate sale planning firm. With the increasing sophistication of online shopping sites and advertising tools, it’s becoming easier to post details and sort photos of what’s for sale. 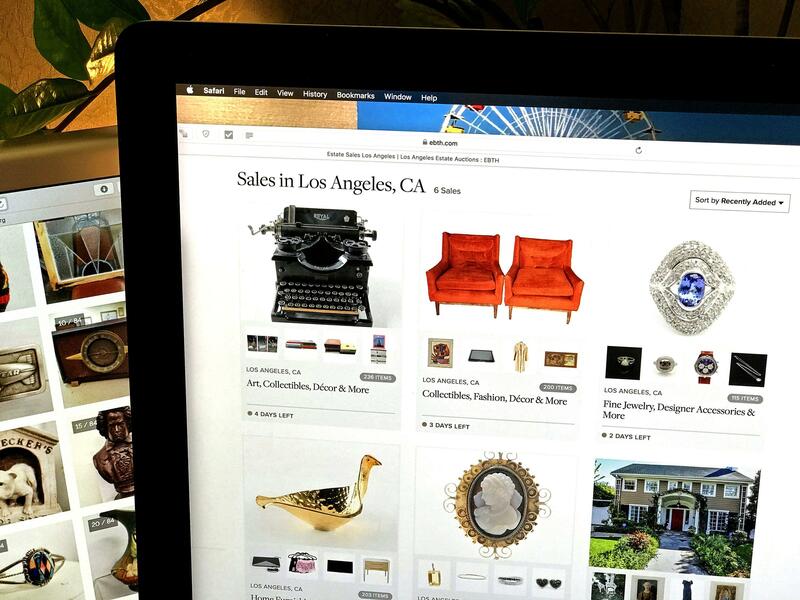 Michael Judkins, founder of EstateSales.org, estimates that 60 percent of estate sales are in-person sales, and 40 percent have some form of online auction format. Although online sales require more upfront work to photograph and post items, they have advantages. It’s more convenient, out-of-town shoppers can participate and hurdles posed by gated communities and restrictive homeowners association policies can be avoided. “Security and theft are also issues that are solved, to a degree, by conducting an estate sale online,” Judkins said.